DYC Software Chat Translator for Skype is an easy-to-use chat translation software that could convert your chat to more than 80 languages. It can instantly translates conversations in different languages, translates and sends messages in any foreign language and translates replies from one language into your own language. 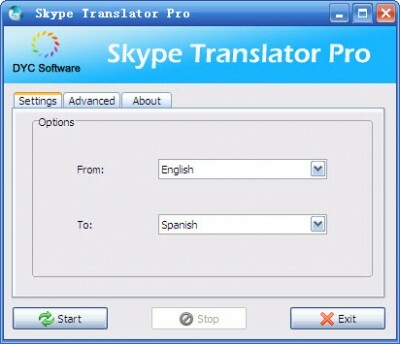 Translator Internet translates for you all web pages and web sites. AMT - Automatic Message Translation Utility. Translate all incoming messages. Translation Service allows you to replace the selected text with a translation in any of several languages in just one click.